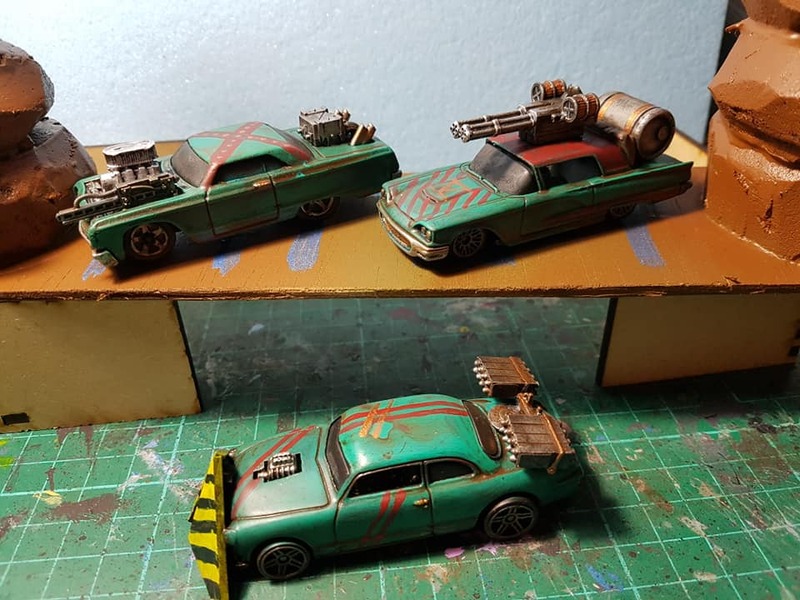 Some of the kids (12 yo) asked to try wargame-type games, so we introduced them to Gaslands. 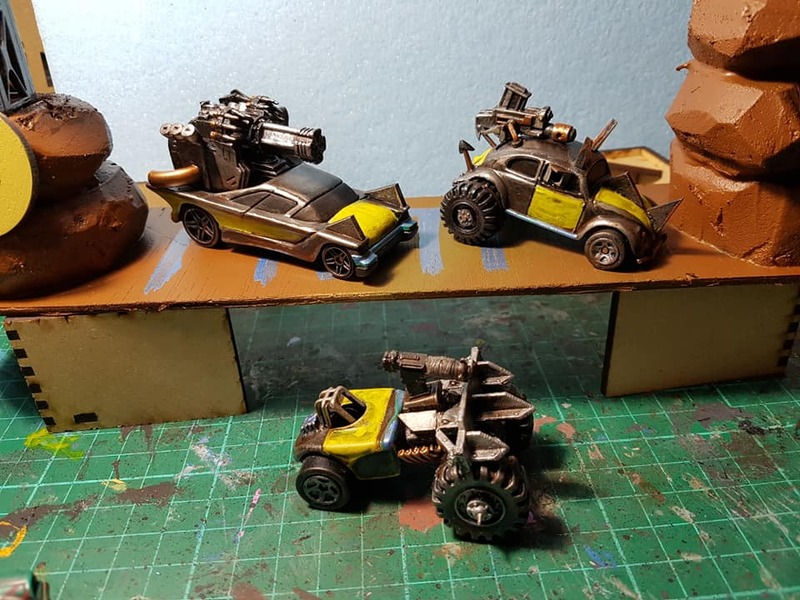 For those who are unfamiliar, Gaslands is kind of a mad-max style car-racing game where you use hotwheels style cars and race around a track on a 3’*3′ or 4’*4′ board with scenery. You have a certain number of cans (points) to build a team and gear them up with guns, rockets, rams and other weapons of carnage. So between the club meeting of the 28th August and 12th October, Eric converted some hotwheels, built some Terrain and gathered the required tokens, templates and dice to get a game sorted. With insight, a 3 player game with 50cans teams was too much in terms of length as we did not manage to finish the “death race”, but with 9 out of 12 starting cars wrecked, it was enough mayhem and carnage to make the boys very happy with their first taste of the game.